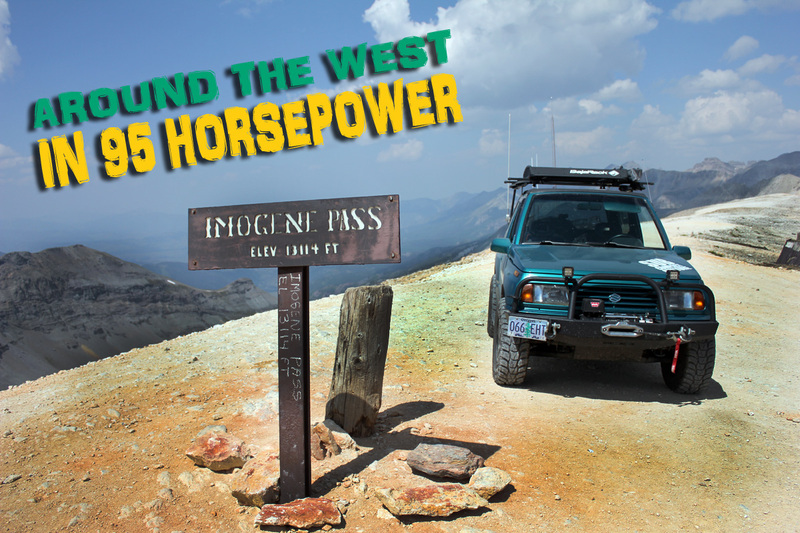 Portland, OR – In part three of Around the West in 95 Horsepower, we had arrived in Ouray Colorado. 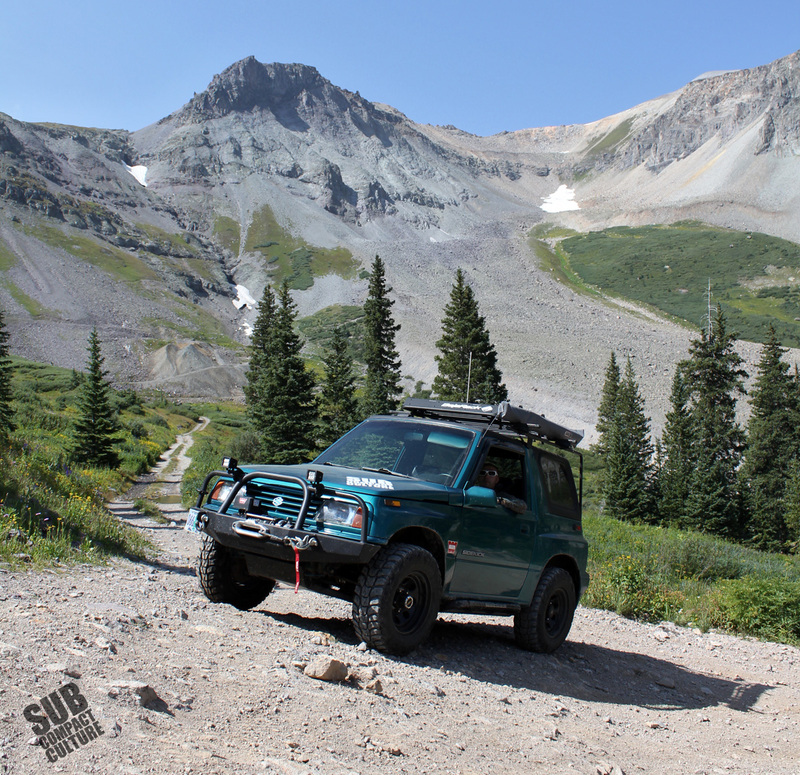 Here, we hit the famous trails of the San Juan Mountains. 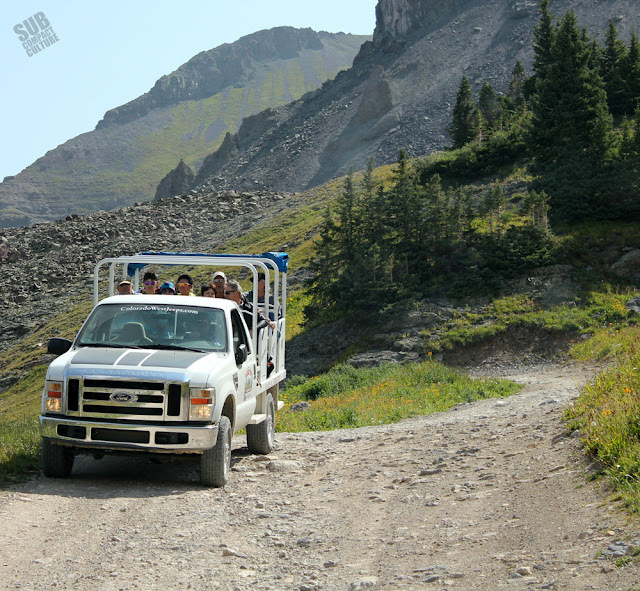 After our first night in Ouray, Colorado, we’d stay in the area and visit some of the historic off-road trails of the San Juan Mountains, specifically, Imogene Pass—the second highest place you can drive to in Colorado. I was totally stoked, a tad bit nervous, and extremely excited to share this with Mercedes. I had run this exact route almost a year ago to the day and vowed to make it back in my own rig and with her—but little did I know I’d be back here so soon. I knew the Teal Terror would be able to make the trek; I’d seen stock Sidekicks and VW dune buggies go up and over last year. But there are always those slight reservations: Would the newly rebuilt transmission and clutch hold up? What about the engine, which had 162,000 miles—would it leave me stranded at 12,000 feet? I didn’t want to break anything since we still had to drive home 1,200 miles. But those reservations quickly subsided once underway. Our route would take us over the famous Imogene Pass, which peaks at 13,114-feet. 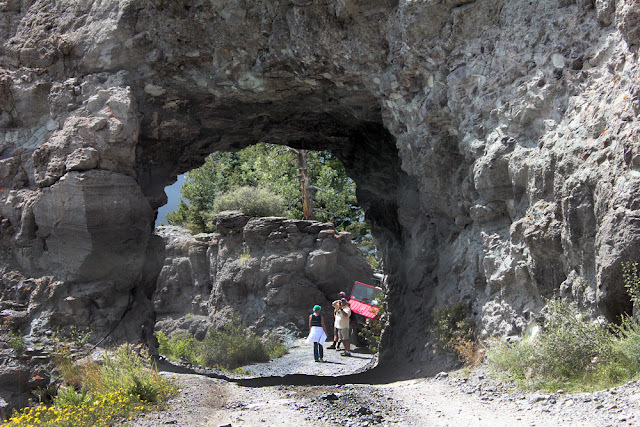 It’s a fairly well-traveled trail starting on County Road 361 in Ouray. The trail is rated a 5 out of 10, but it can have its trickier parts, especially in a short-wheelbase vehicle, such as our Suzuki Sidekick. Before we left for our journey, we picked up a fantastic route book by Funtreks called Guide to Colorado Backroads & 4WD Trails (3rd Edition), that was a great asset to us. It had routes, mile markers, and points of interest along the trail. A must-buy if you’re headed this way. As I mentioned, this wasn’t the first time I’d driven the trail, but it would be the first time I’d driven it in my own vehicle. 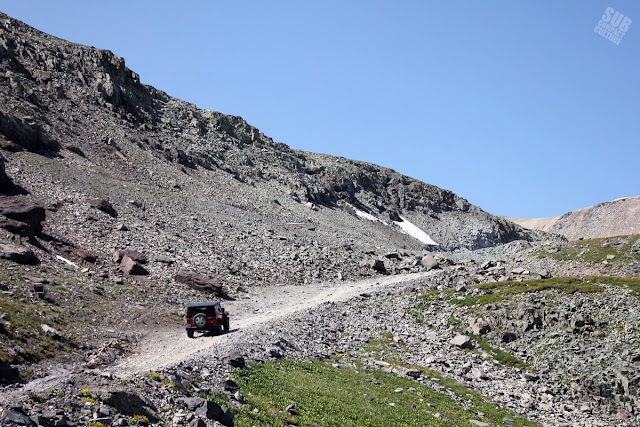 Last year, I drove a very capable 2013 Jeep Wrangler Rubicon with 37-inch tires and a six-inch lift up and over this rugged trail. 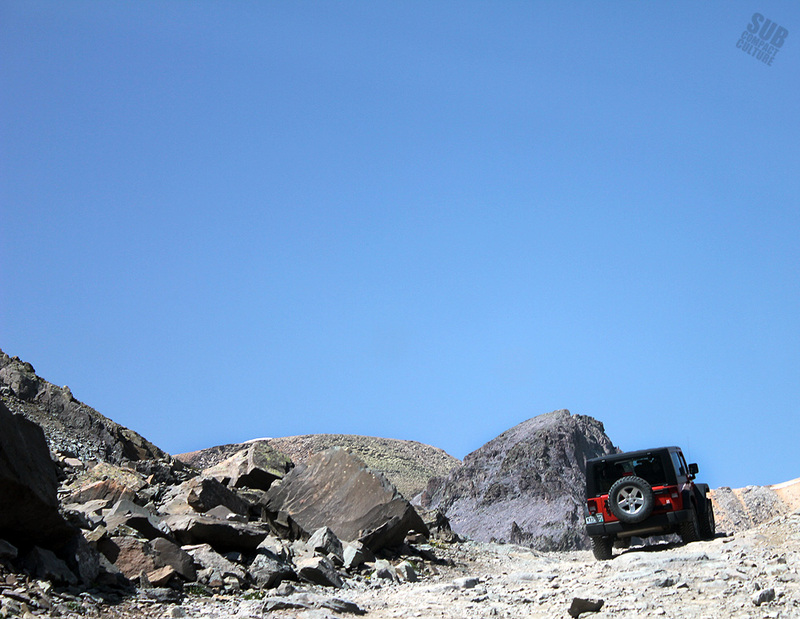 With such a capable vehicle, the trail wasn’t much of a challenge. The Sidekick, however, only has 29-inch tires and a two inch lift, but I knew we’d make it. Plus, our little rig has rock sliders, skid plates, a rear locker, and a winch just in case. We aired our Kumho Mud Terrain tires down to about 14 PSI for improved off-road traction and headed out on the trail. When I was there last year, I was given some advice: Many of the trails are not difficult from a technical standpoint, but they’re unforgiving. This means steep walls on one side of you, sheer drop-offs on the other side, and little room for error. And while that sounds completely rudimentary, when you view some of the jaw-dropping scenery along this trail, it’s easy to become distracted. It happens. And when you’re in terrain like this, the last thing you need is a distraction. And while we generally hit the trails with other people, we knew this route would be well-traveled enough that if something were to happen, there would be people running the route on a semi-frequent basis. Once underway, the first thing we encountered after a short jaunt up the trail are steep cliffs on our left side as well as rocky overhangs in which we drove under. Almost immediately we knew this trail was going to be amazing. From there, we start to climb our way through forest, across streams, and over rocky rises. After the forest, we end up in gorgeous alpine valleys with a variety of vegetation including wildflowers, grasses, and shrubs. 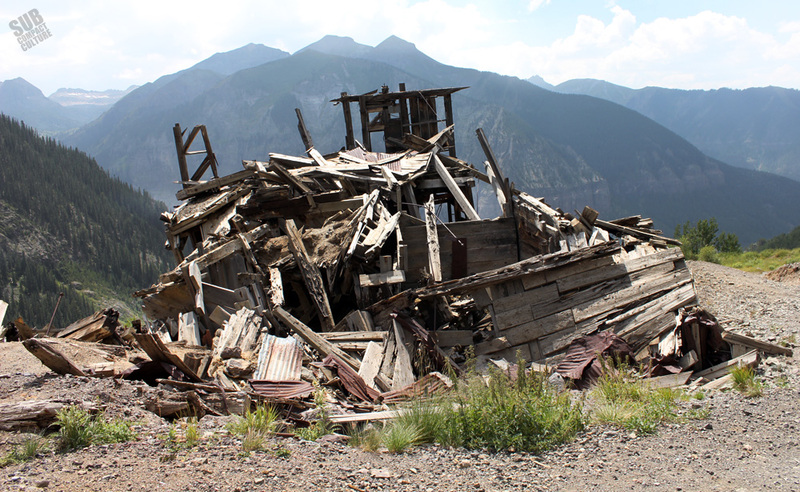 We also encounter our first signs of abandoned mining facilities and ghost towns. 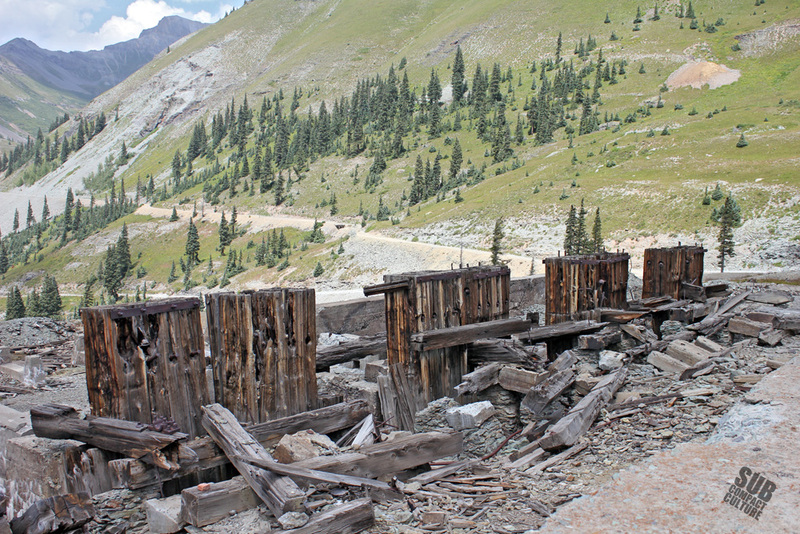 The trails around Ouray and Silverton are filled with these historic monuments to failed mining opportunities. Well, failed now, but extremely profitable and prosperous then. As we continued to climb, we encounter a host of other people on the trails. There are motorcycles, ATVs, side x sides, mountain bikers, and even runners. There’s actually a marathon that goes up and over the pass. Thanks, but I’ll stick to my Suzuki. Regardless of the mode of transportation, everyone was friendly, courteous, and gave a wave as we slowly crawled passed. As we rise in elevation, we begin to encounter more rock. The trees become fewer and fewer, and eventually we get above the tree line. You can tell the Suzuki’s little 1.6-liter engine is attempting to use all 95 of its horsepower, but is getting a bit wheezy. 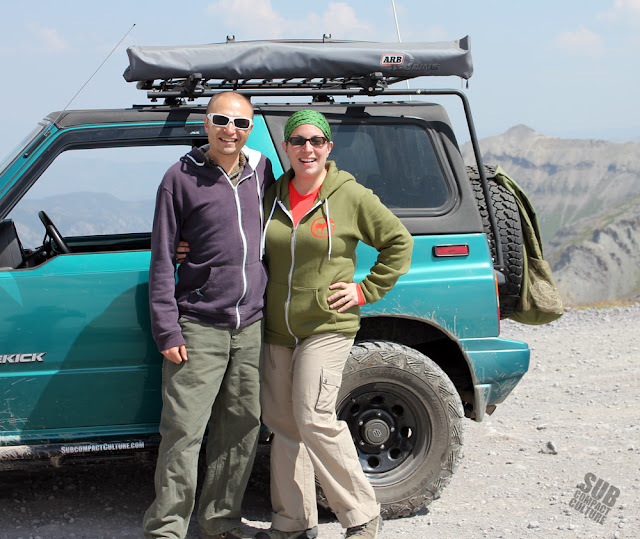 As we motored up towards the summit, the views are more and more breathtaking. Vistas for miles and miles; multiple peaks and alpine lakes—it’s incredible and must be seen to be believed. We start to encounter a fewer vehicles, mostly Jeeps and side x sides. The most difficult area of the trail is the last part before the summit. The trail gets steep, and with such little oxygen up there, the engine is really panting. In fact, there was a short section that required me to bring the Suzuki’s revs up to about 4,000 RPM and dump the clutch to get enough momentum to get up and over the short climb. 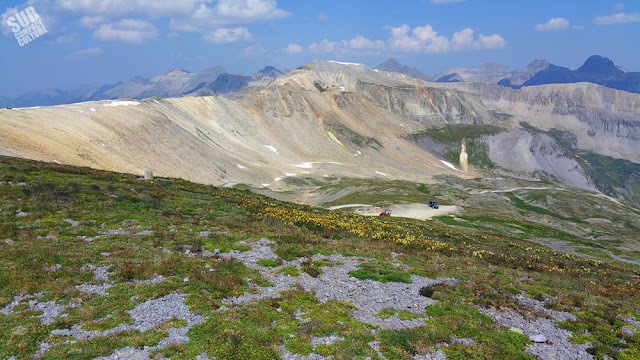 However, once we passed this part, we were welcomed to the summit of Imogene Pass, all 13,114 feet of it. It’s cold and crisp with light winds. There are about six people from Texas who’d come up in their side x sides. We got talking and I took their pictures and they took ours. We had to get some photos of the Teal Terror up here, so we moved over to the famous sign and mailbox that adorn the summit. This is proof we were there. We’d made it. It was awesome. 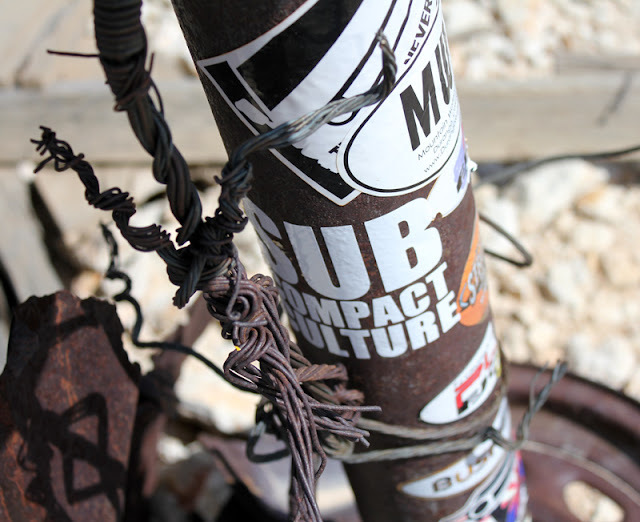 After the adrenaline subsided, we posed for a few pictures, slapped a Subcompact Culture decal on the famous old mailbox (you can see it on the pole, also in the photos at the end of this post), and began the decent to Telluride. This downhill section was narrow, but nothing difficult. The trail winds back and forth, and eventually comes upon the Tomboy Mine. Located at 11,500 ft., this mine site once had more than 900 residents. 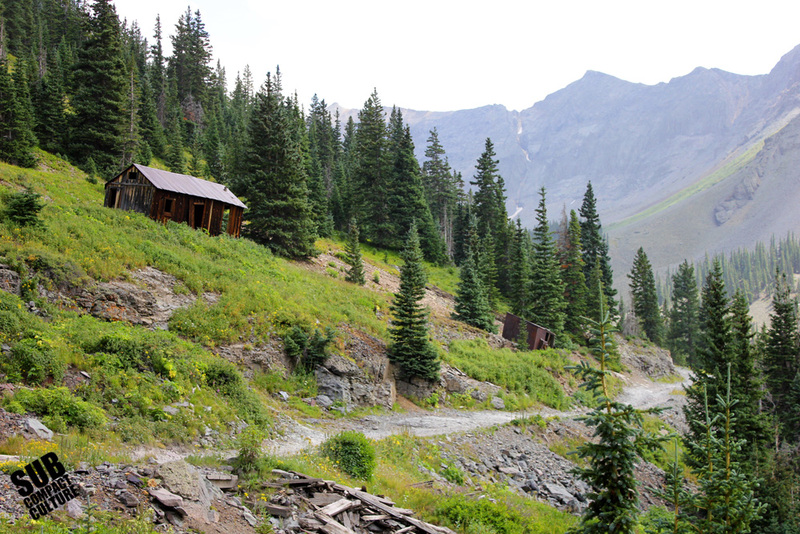 In 1897, the mine was sold for $2 million. That’s the equivalent of $57.1 million and change today. 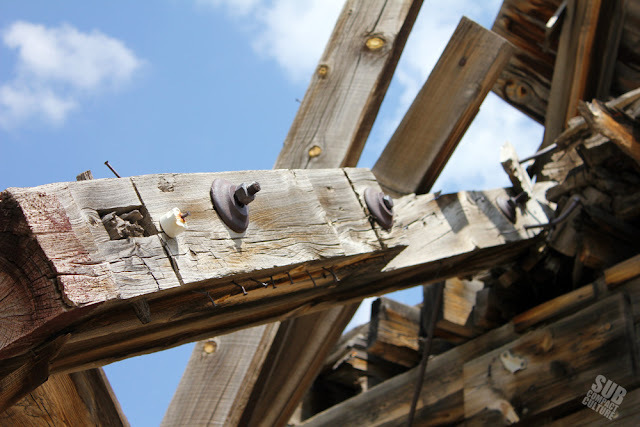 The town closed in 1927 when the gold ore was all mined up. Nowadays it serves as a fantastic place to eat your lunch, take some pictures, and do some exploring. Or if you’re like me, it’s a great place to take a quick nap. 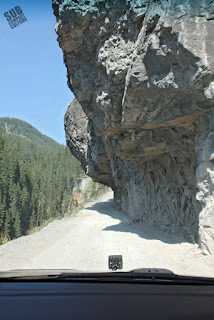 We continued down the trail, as it begins to get narrow and cling to the cliff side. There are numerous other abandoned mining operations which also date back to roughly the same time as Tomboy, each amazing it its own right, each with a story. This is one thing that I love about this area. 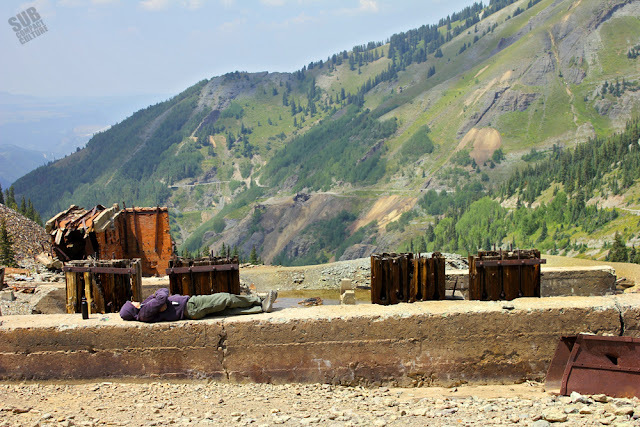 So much work was put into these mines in order to find fortune, and each one is now derelict and a shattered dream. As we wind down the trail, Telluride becomes visible. 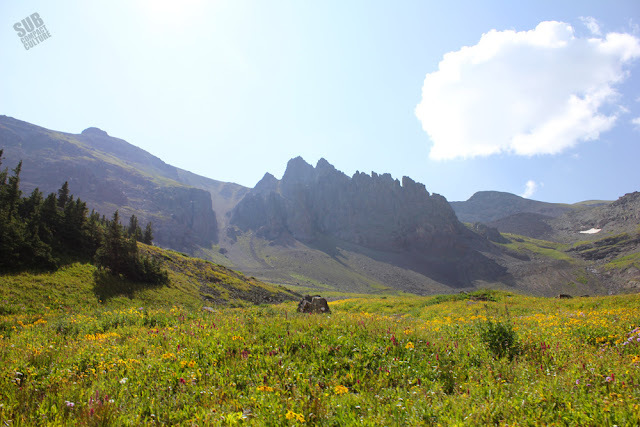 If you’re not familiar with Telluride, it’s a charming little high-end resort town. People like Oprah, Jerry Seindfeld, Tom Cruise and other celebrities have houses here. There’s a ski area, lots of boutiques, and restaurants. Many of the houses are fantastic historic buildings, or are at least built to look like them. Oddly, the off-road trail we were on dumps right out into suburban Telluride. You kind of wonder how the heck you ended up here after crossing over a mountain top. 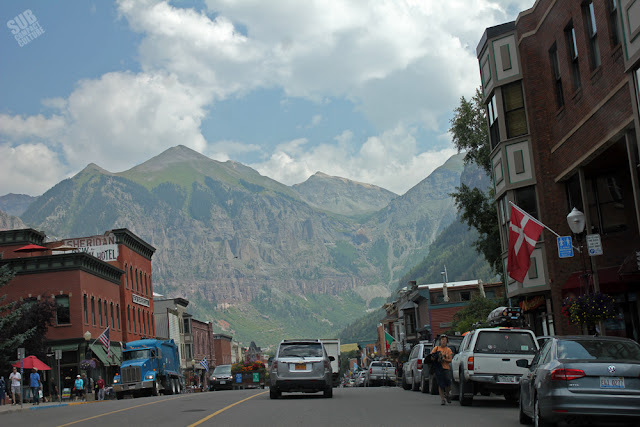 We didn’t spend much time in Telluride; you can go shopping anywhere. We wanted to get back on the trail. Our next leg would take us up Last Dollar Road. This is basically a dirt road that goes from Telluride to HWY 62. It’s not hard, but it’s amazing. 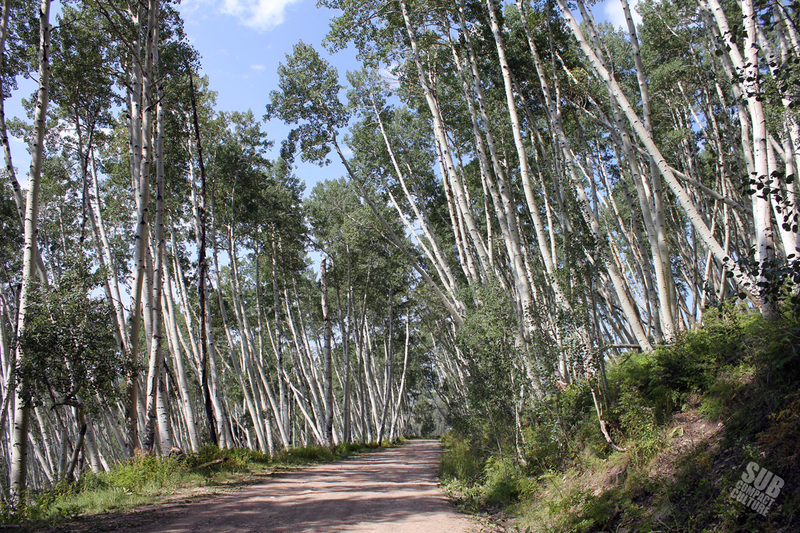 It winds its way through thick aspen groves, up and over tall hills and through tall forests. You’ll pass a number of ranches with plenty of livestock waiting by the fence to see the latest passersby. We found a spot to pull off and just listen to the breeze, soak in the sun, and decompress. While we didn’t stay in one spot too long, this little 20 minute break was exactly what we needed after an awesome day on the trails. 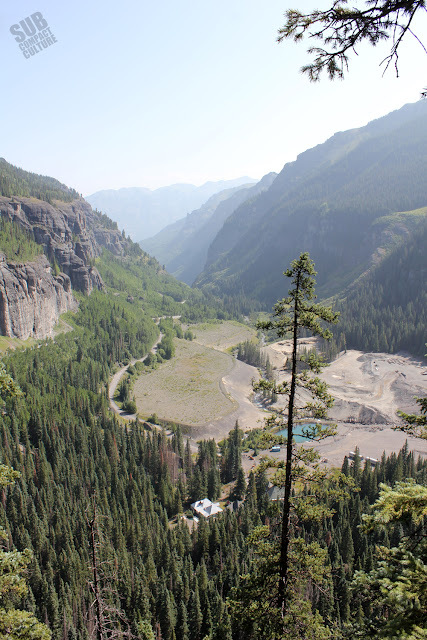 Shortly thereafter, we hit up HWY 62 to Ridgeway, and eventually took HWY 550 back to Ouray. We’d had a hell of a day with many incredible photos. It was back to camp for dinner, a campfire, and some shuteye. What an incredible day. It’s days like this that fuel our wanderlust. They make us want to see what’s on the other side of the mountain, and experience adventure like this. It’s addictive, you know. You just want to keep going and going. Lucky for us, we have several days left. 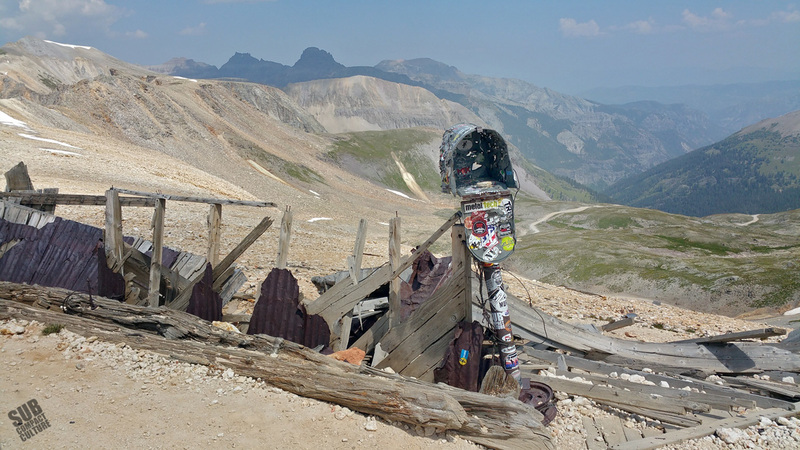 And our next day would continue to feed the need, and in some respects, impress us more than our trek up Imogene Pass. In the meantime, here are some more photos from our day’s trek. 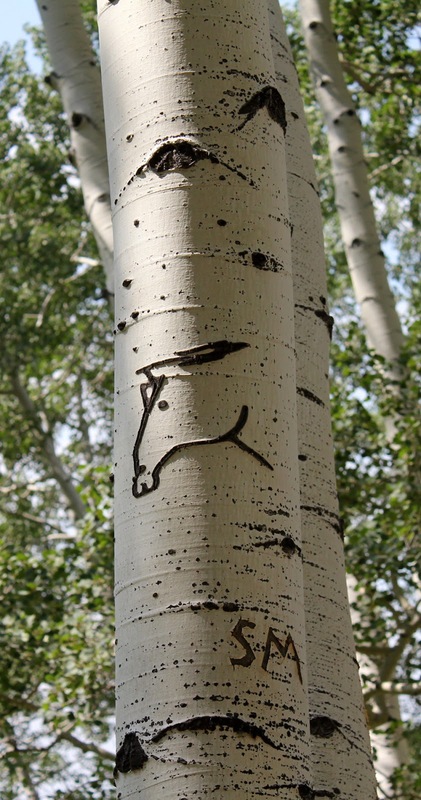 Although unfortunate, someone had carved this horse and initials into this aspen tree.